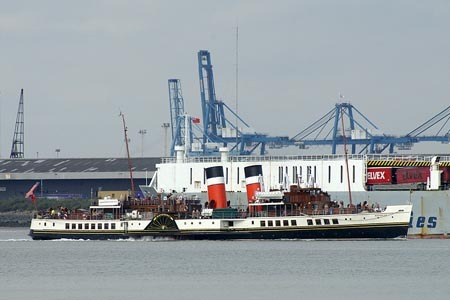 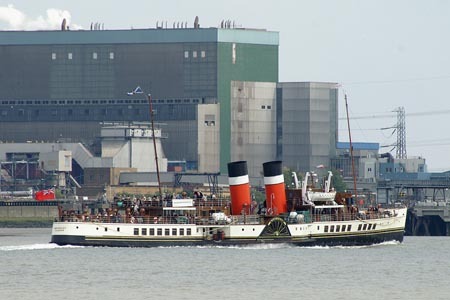 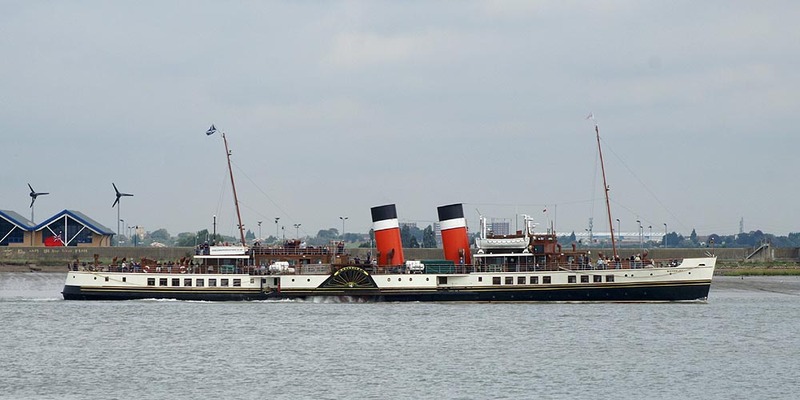 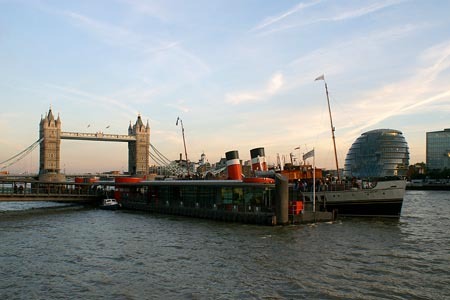 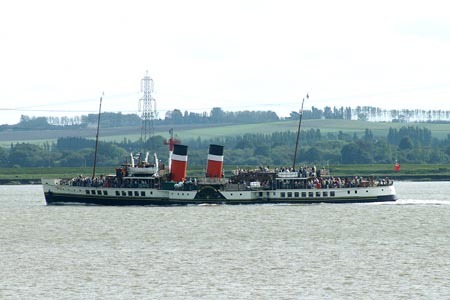 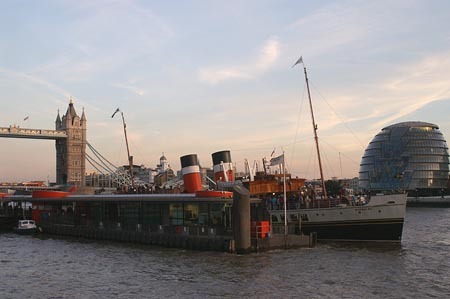 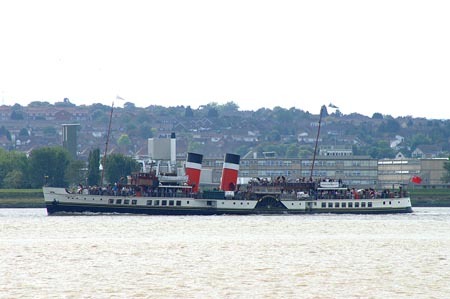 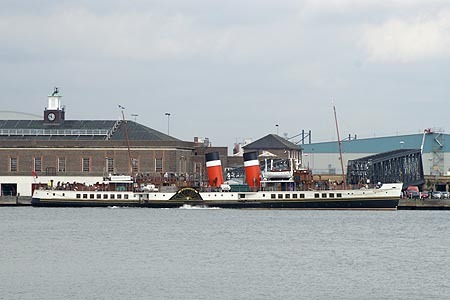 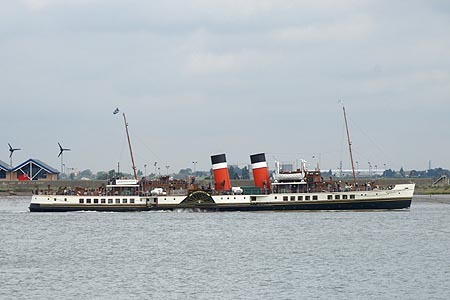 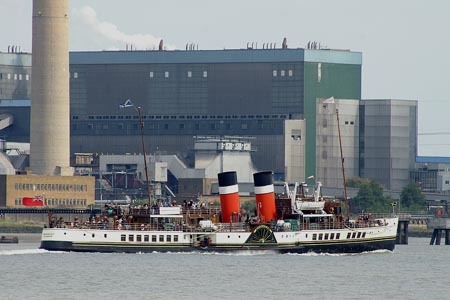 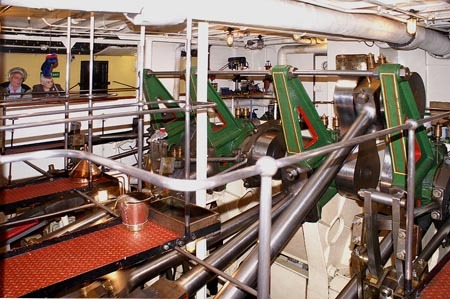 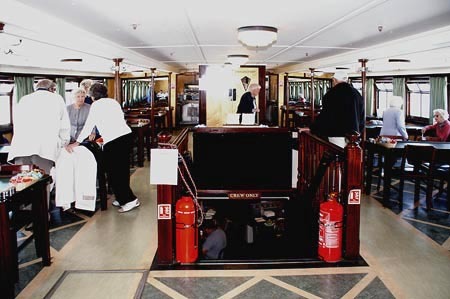 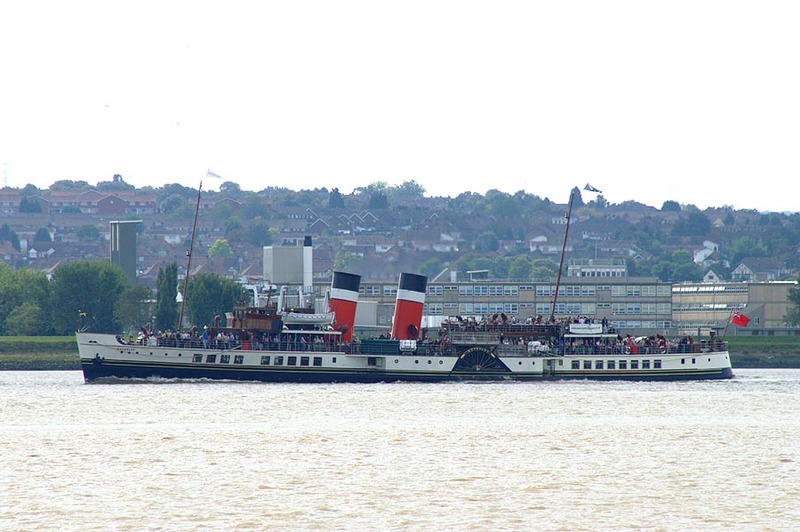 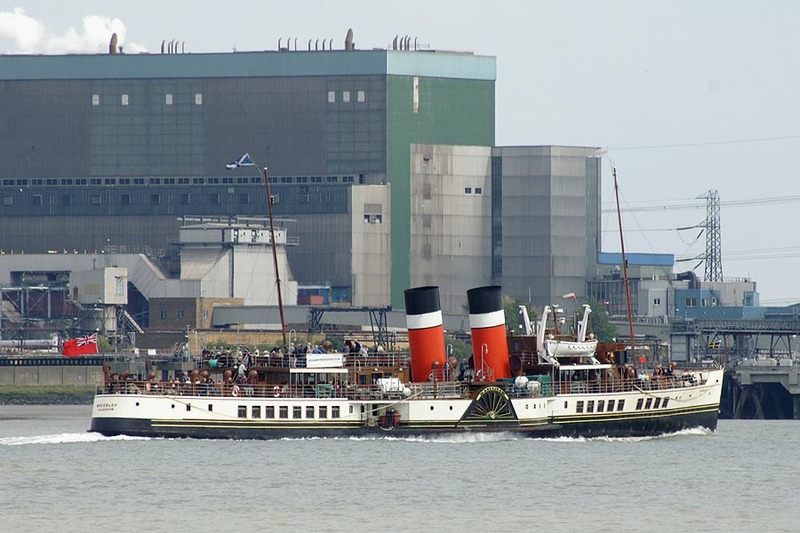 This page is one of a series devoted to photographs taken on the Thames in 2006 of the preserved Waverley Excursions paddle steamer Waverley. 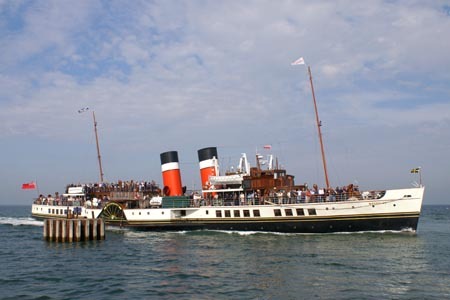 This page shows images of Waverley during the first week of her period on the Thames, in September. 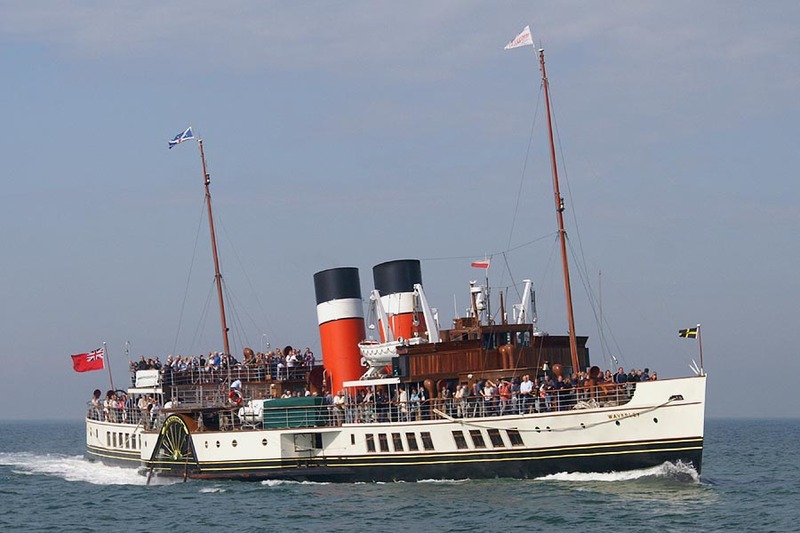 Waverley was due to sail from Southampton and Portsmouth to Worthing and Dover on Thursday 21st September as the first part of her journey from the South Coast to the Thames. 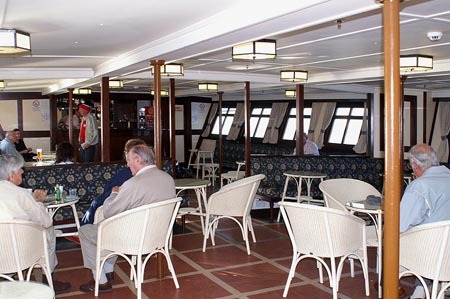 This cruise was cancelled due to poor weather. 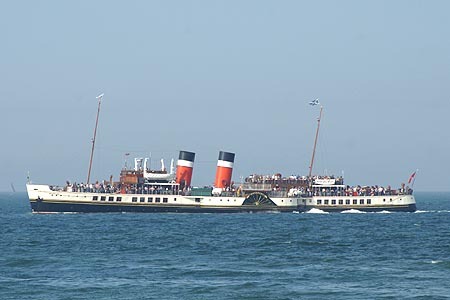 She was also due to leave Dover the following day on a cruise to Tower Pier. 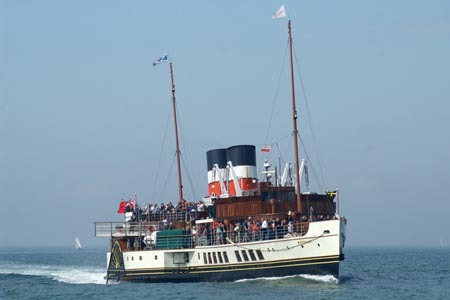 This cruise started in Whitstable with passengers bussed from Dover. 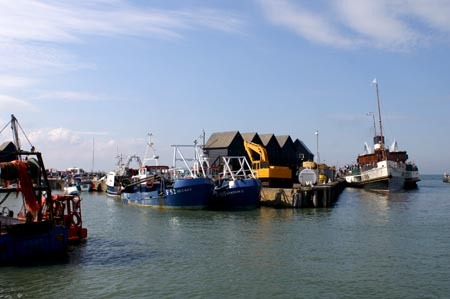 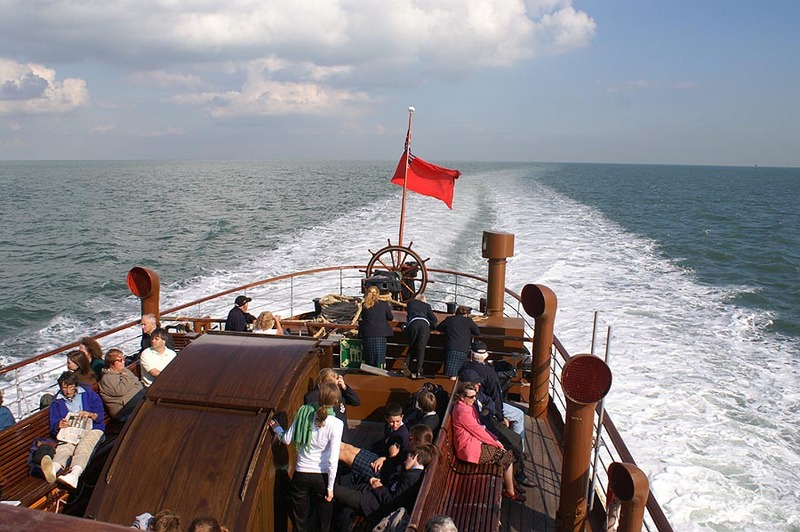 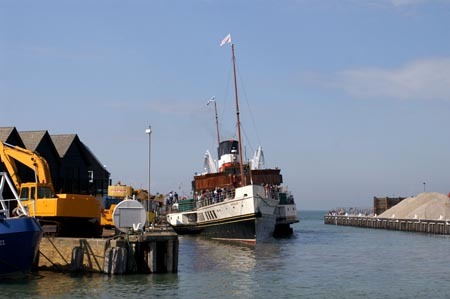 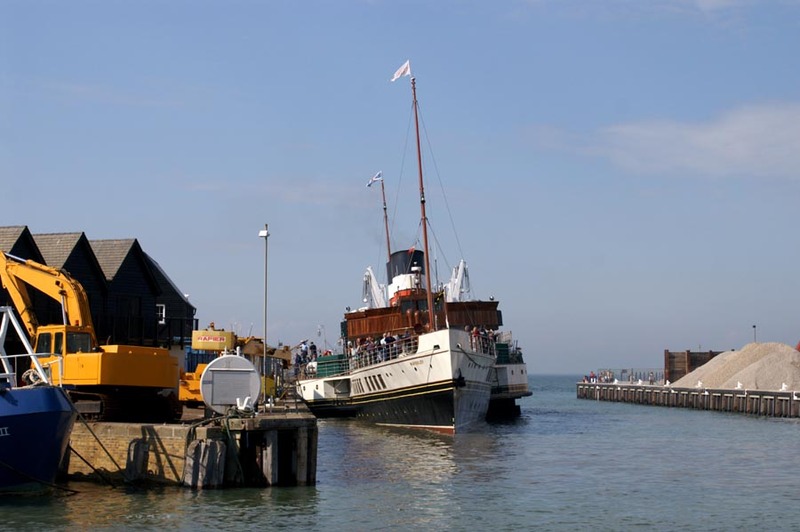 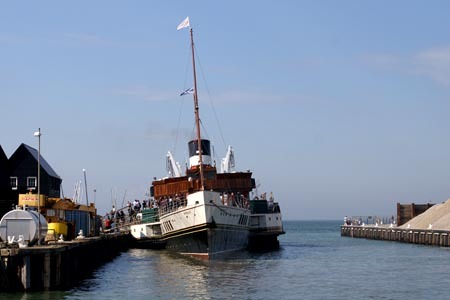 Waverley's Thames season proper started on Saturday 23rd September with a sailing from Tower Pier to Whitstable. 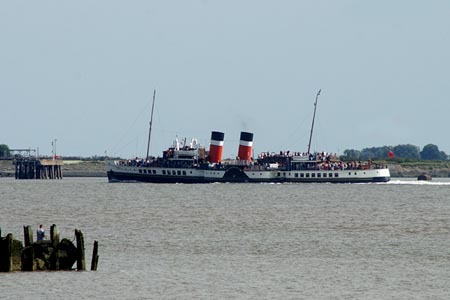 this took place in glorious weather with unbooked passengers being turned away. 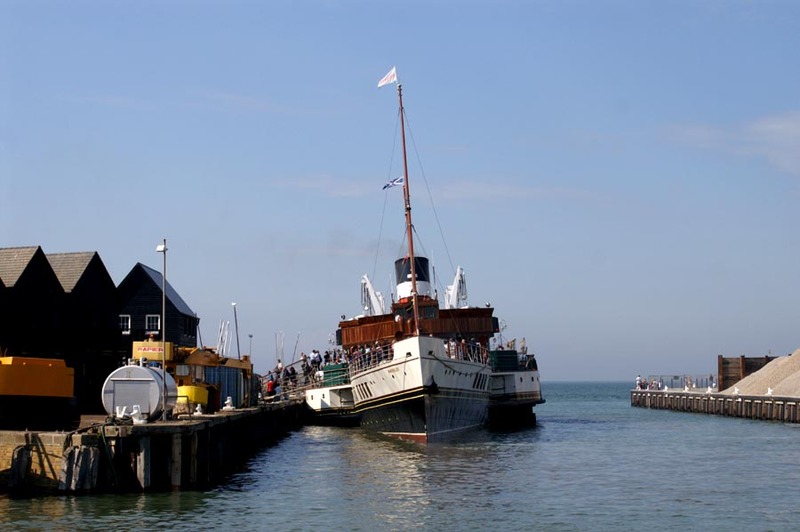 I photographed her arriving and leaving Whitstable. 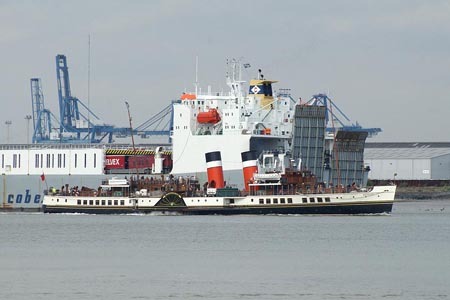 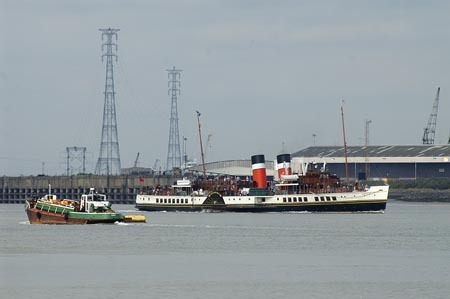 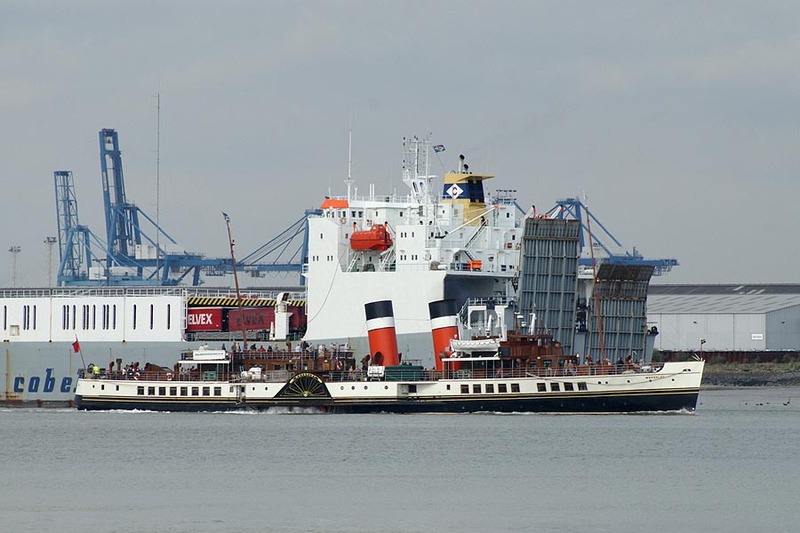 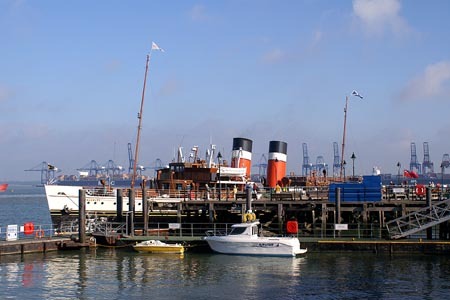 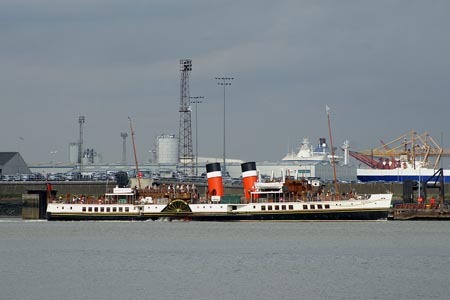 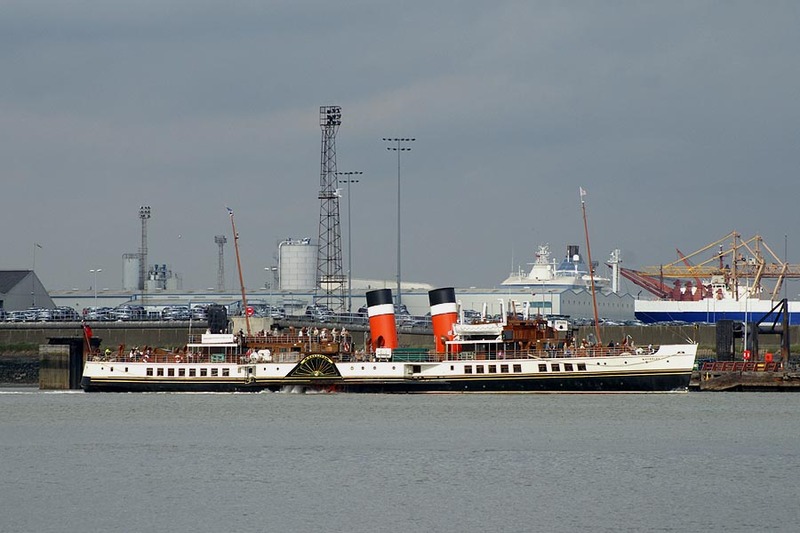 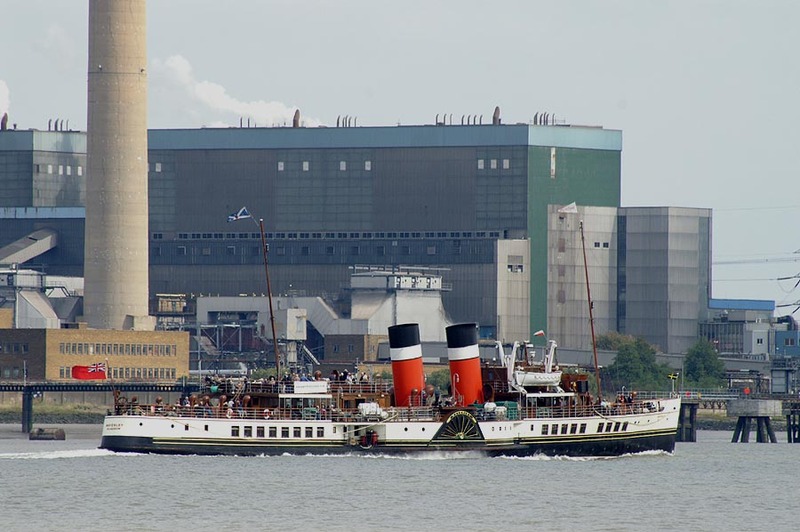 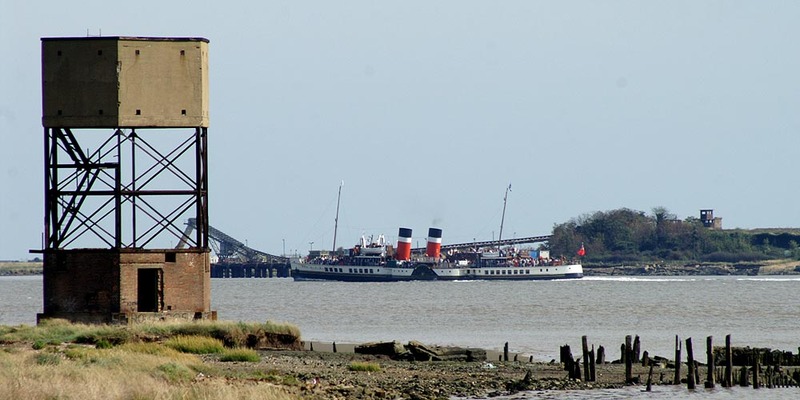 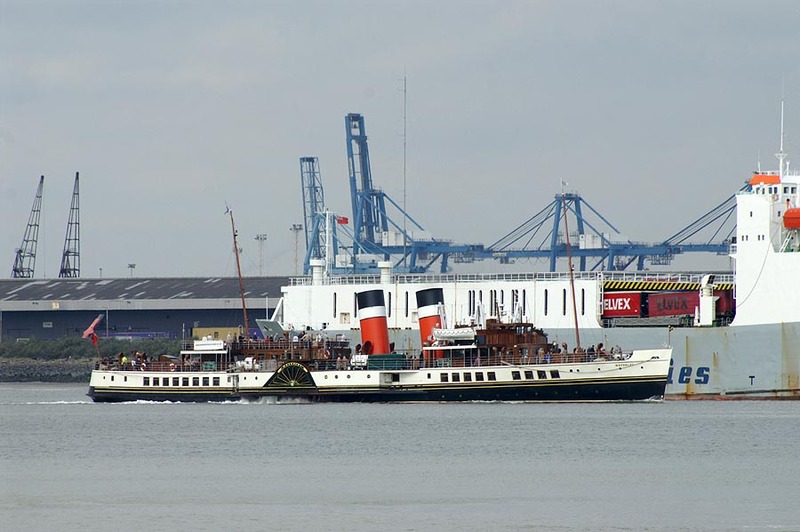 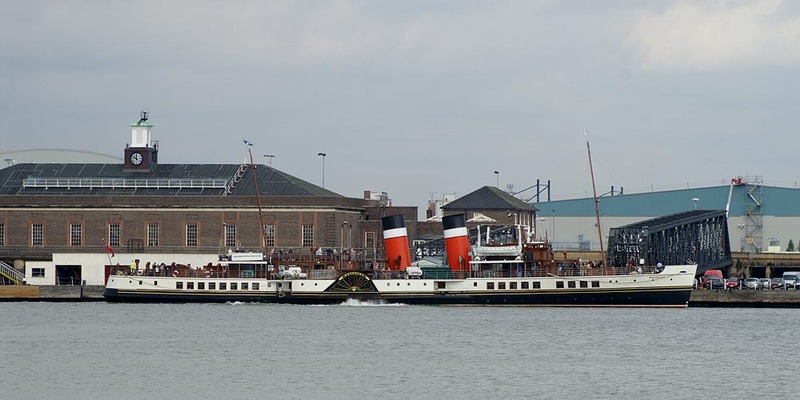 On Sunday 24th September, Waverley sailed from Tower Pier to Tilbury, Southend and the River Medway. 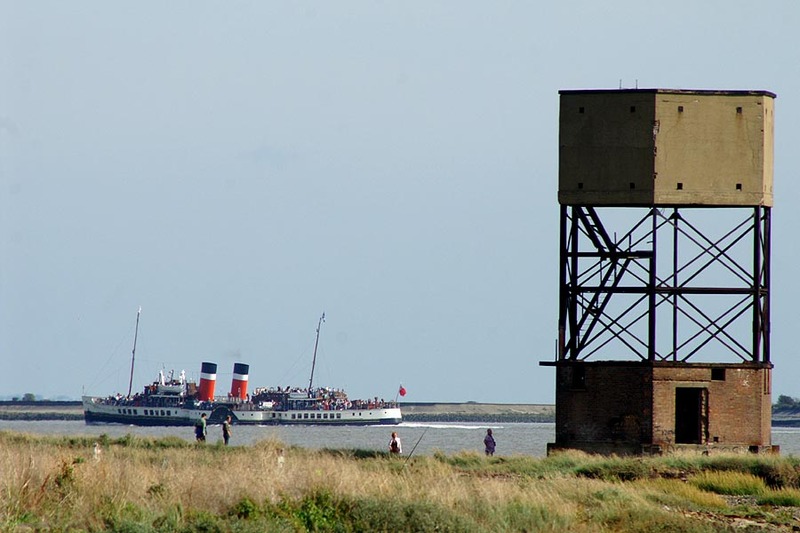 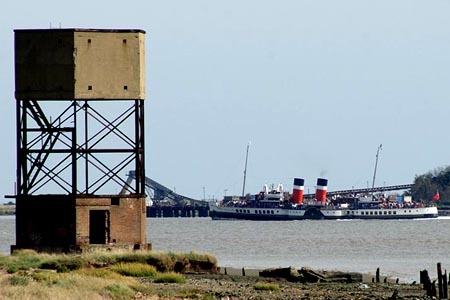 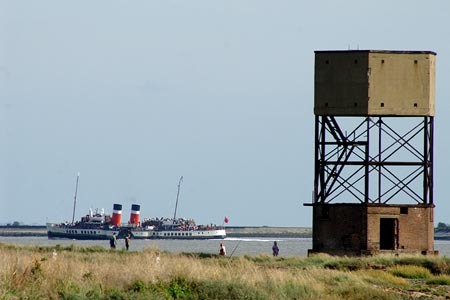 I photographed her passing Coalhouse Point near Tilbury. 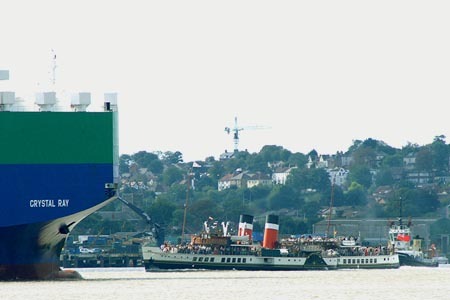 The simultaneous arrival of the large car carrier Crystal Ray caused Waverley to sail further from the Essex shoreline than I had hoped. 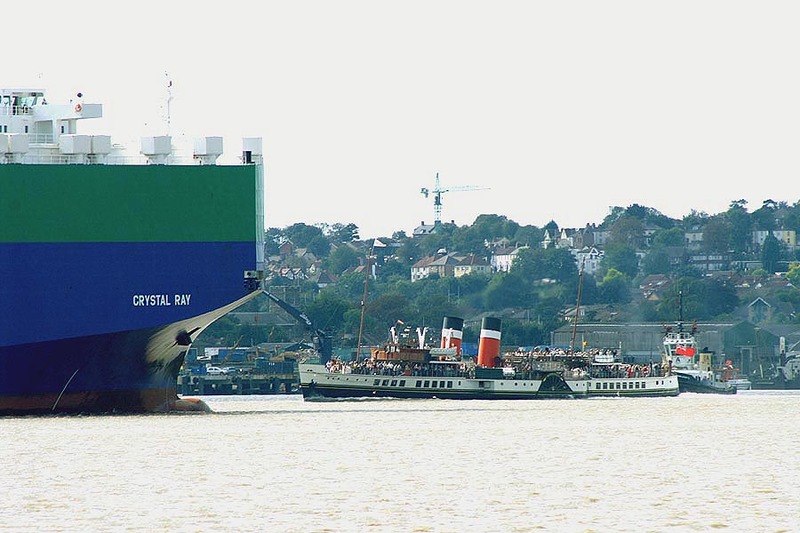 The large car carrier Crystal Ray caused Waverley to sail closer to the Kent shoreline than hoped for. 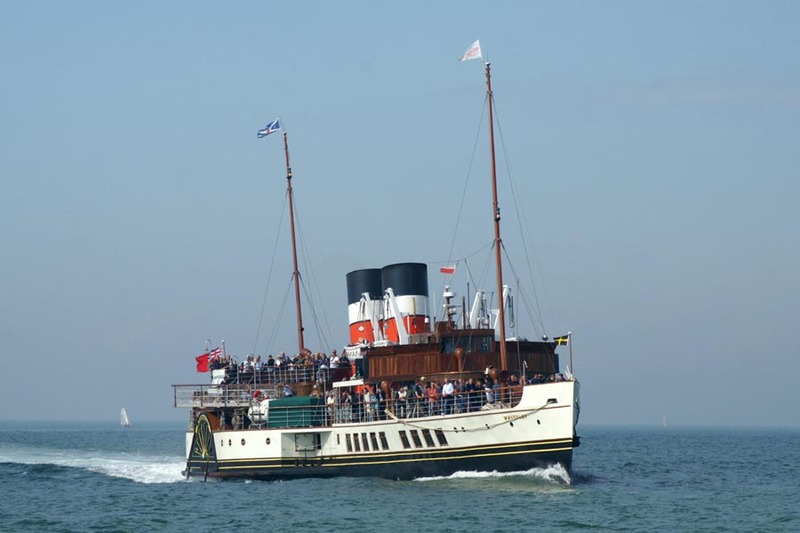 On Monday 25th September, Waverley sailed from Tilbury to Southend, Clacton and Harwich, with a cruise on the River Orwell towards Ipswich. 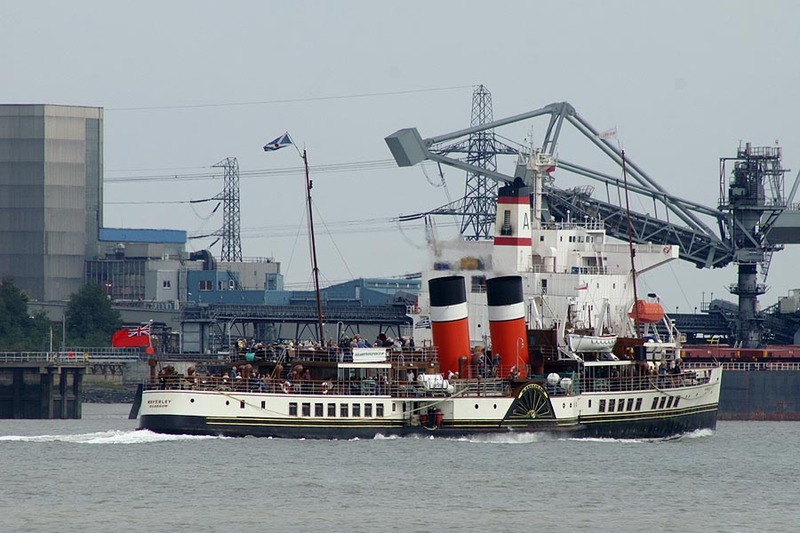 I was unable to photograph this, but I photographed her at Harwich on Tuesday 26th, and travelled on her to Tower Pier where it was just about light enough to get a couple more images. 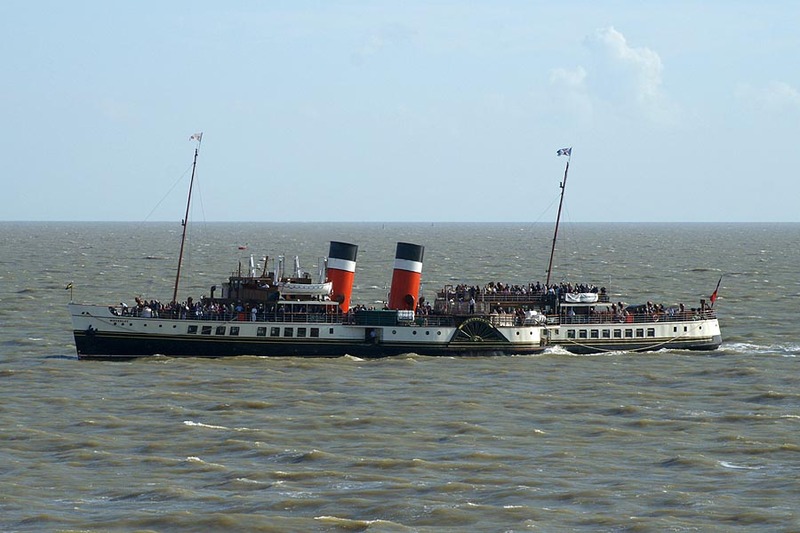 On Wednesday 27th September, Waverley again sailed from Tower Pier to Southend and the River Medway. 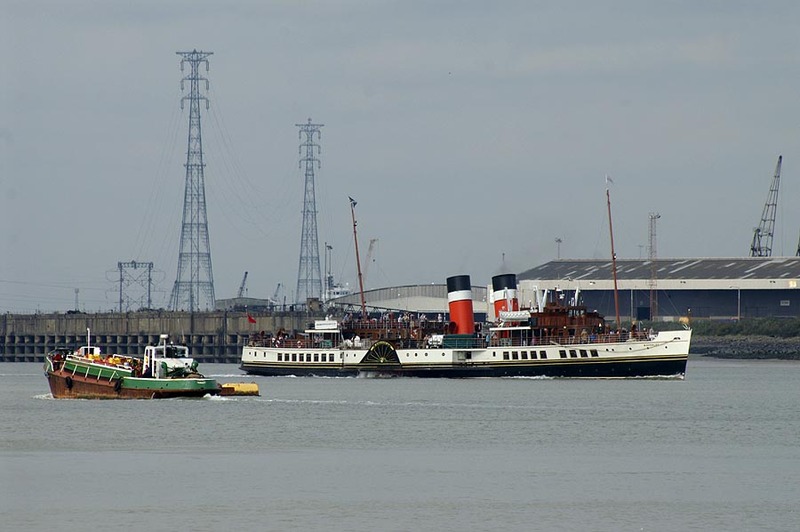 I photographed her arriving and leaving Tilbury from the Gravesend ferry pontoon. 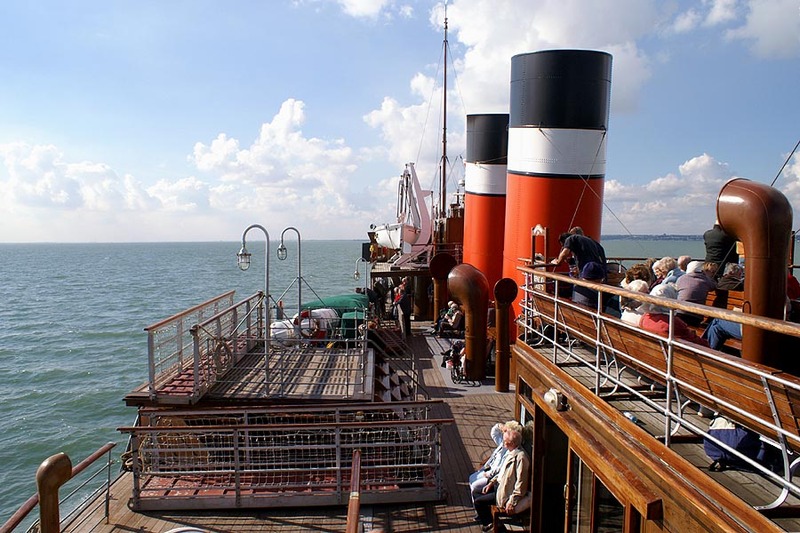 Waverley had no public sailing on Thursday 28th September, but sailed from Southend to Tower Pier and back, plus an evening trip to Tower Pier again on Friday 29th September. The weather forecast was poor, so I did not photograph her. 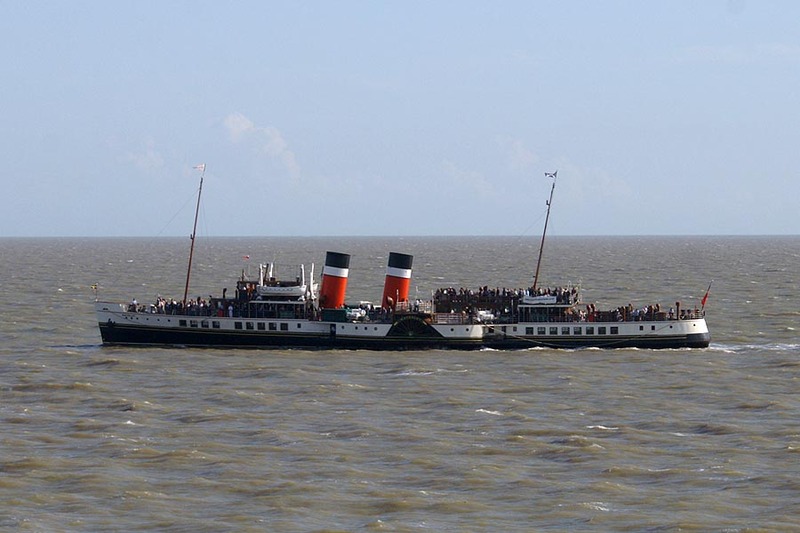 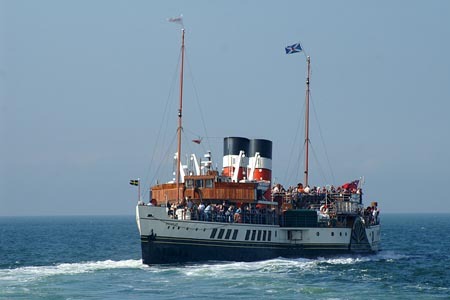 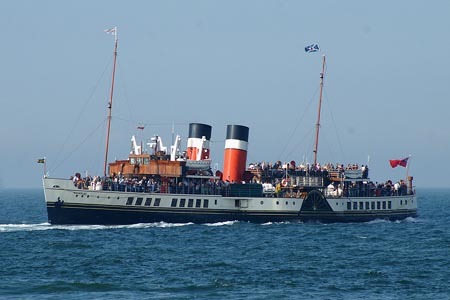 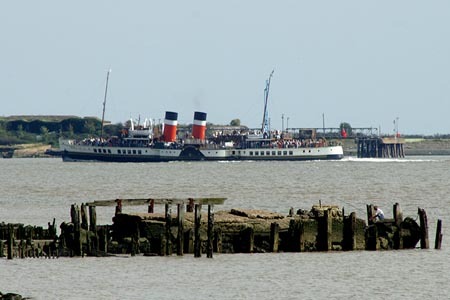 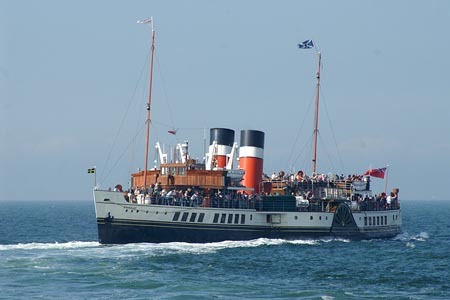 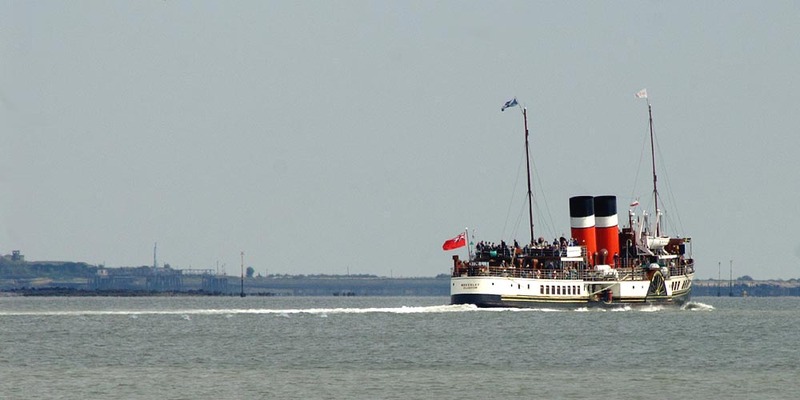 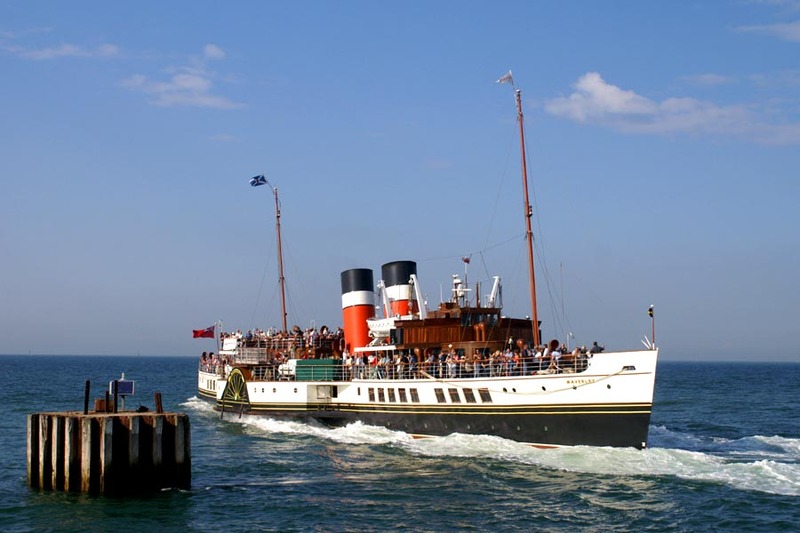 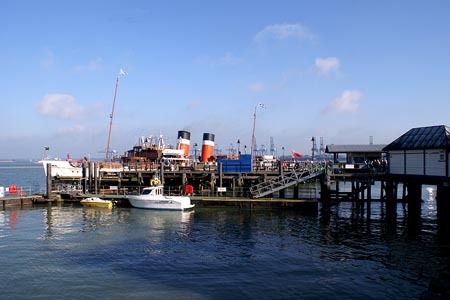 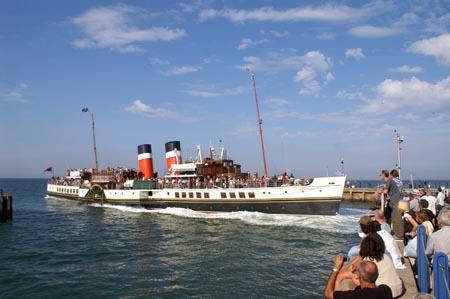 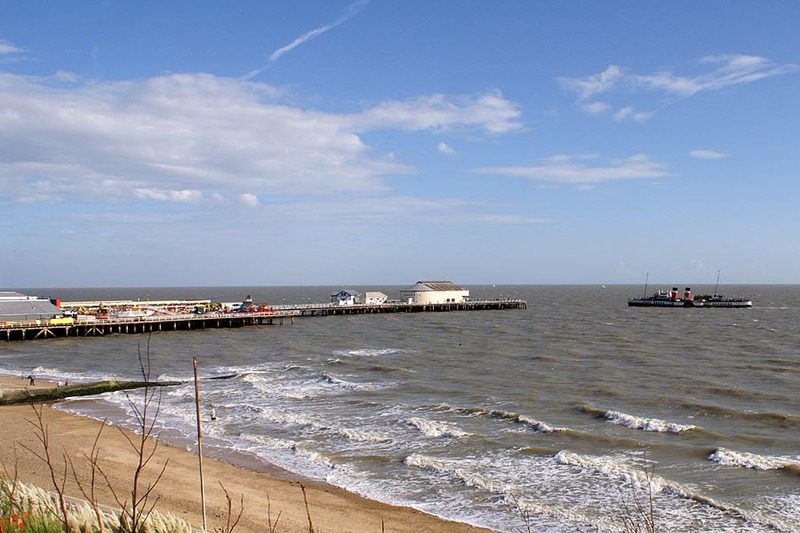 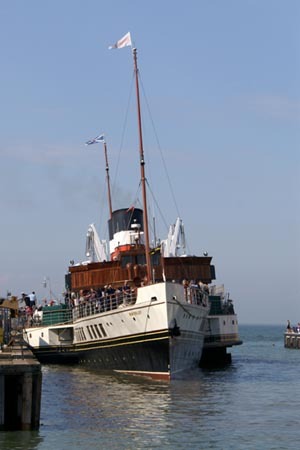 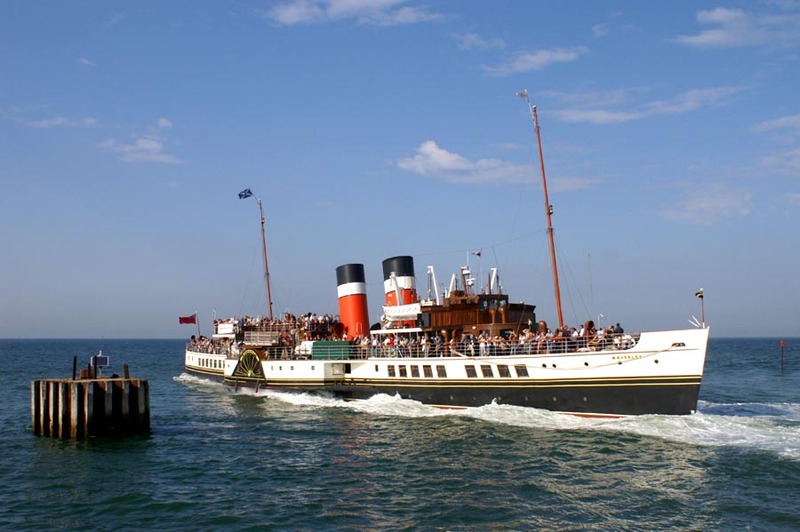 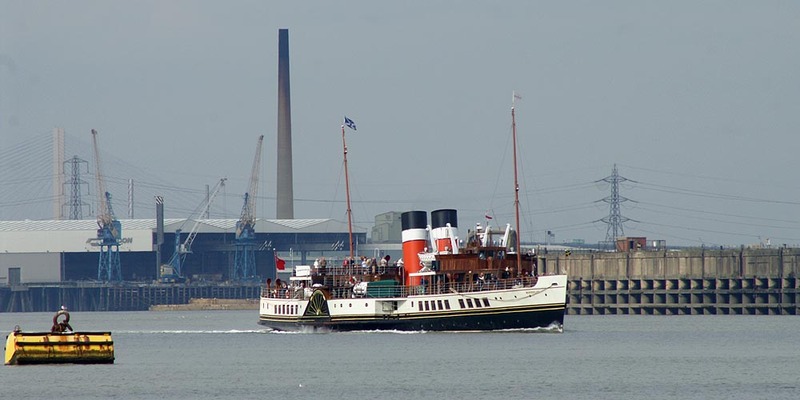 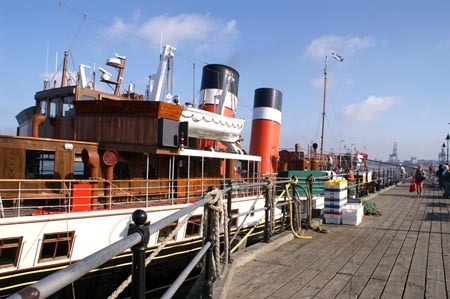 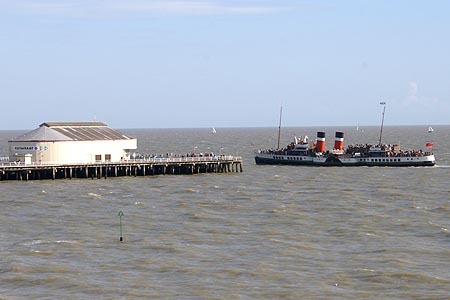 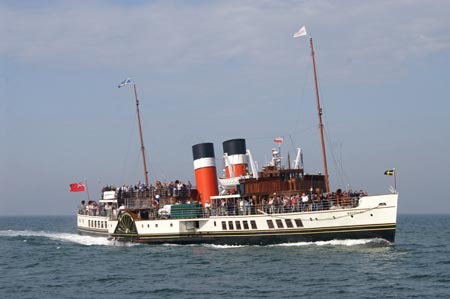 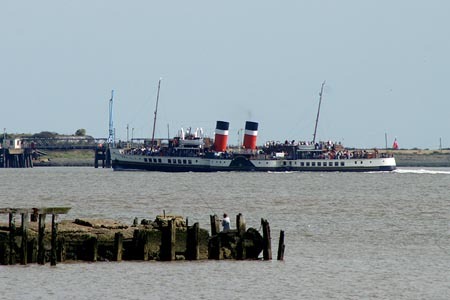 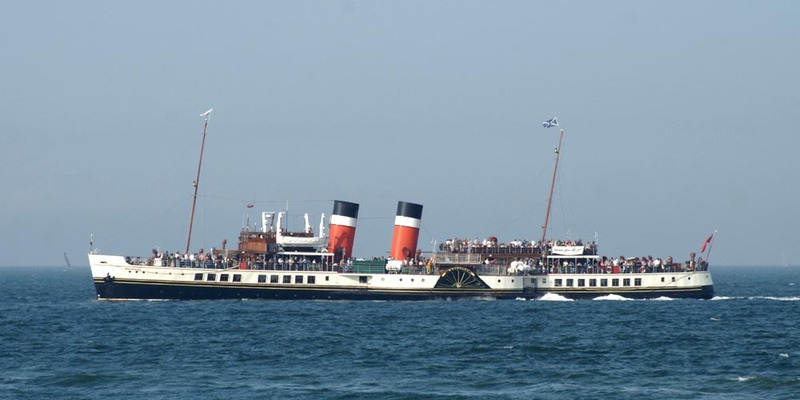 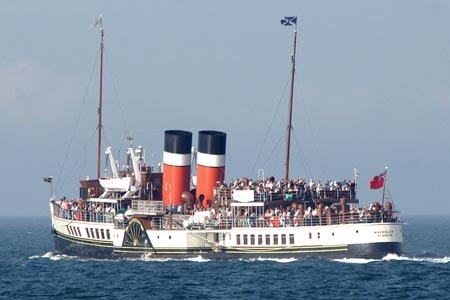 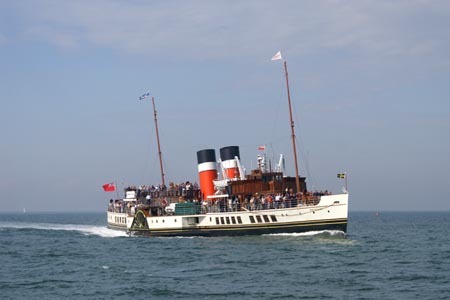 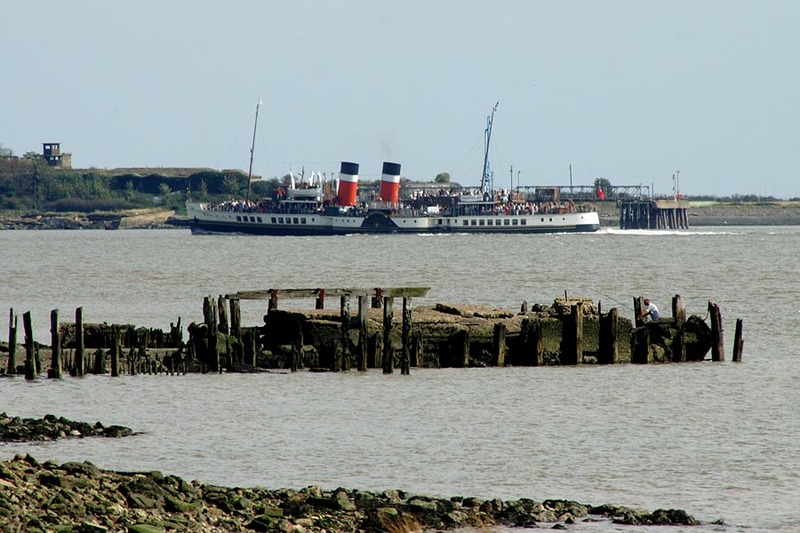 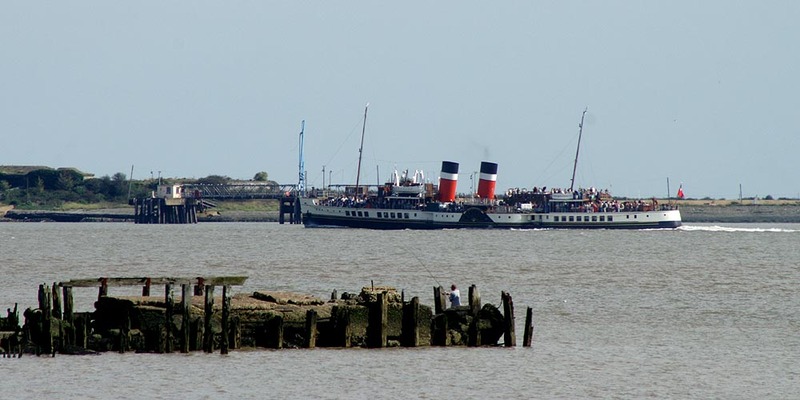 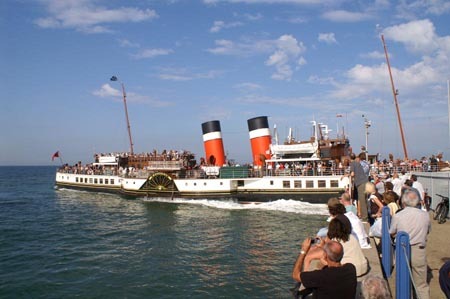 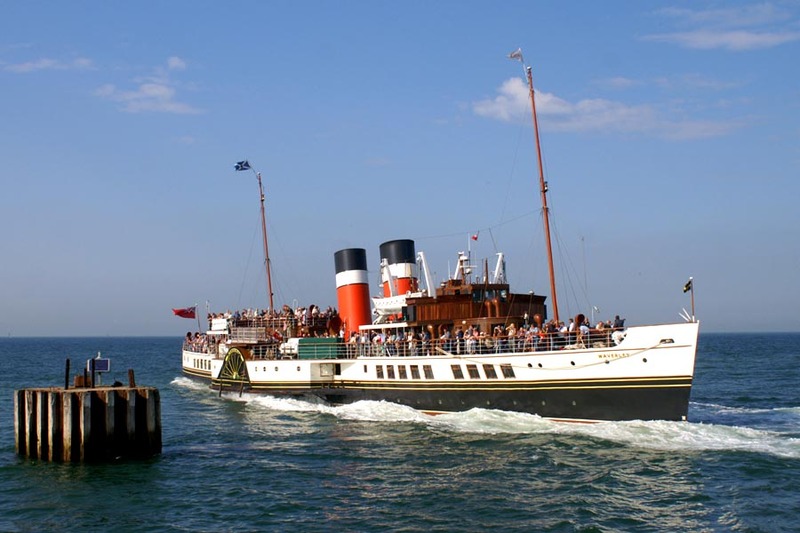 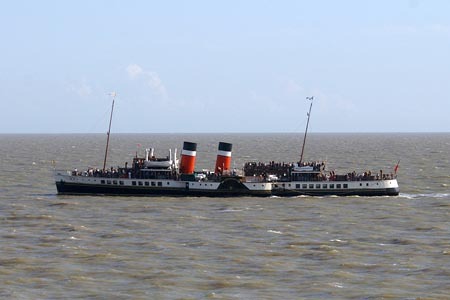 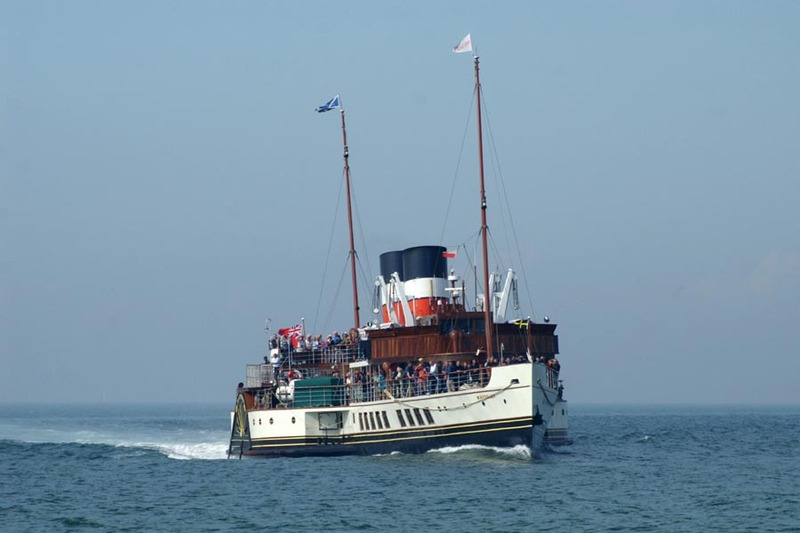 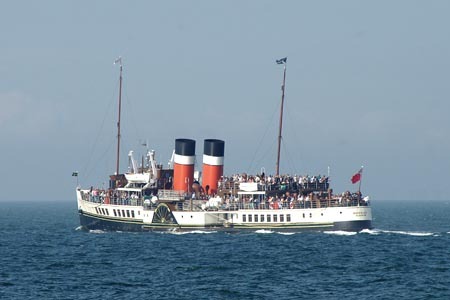 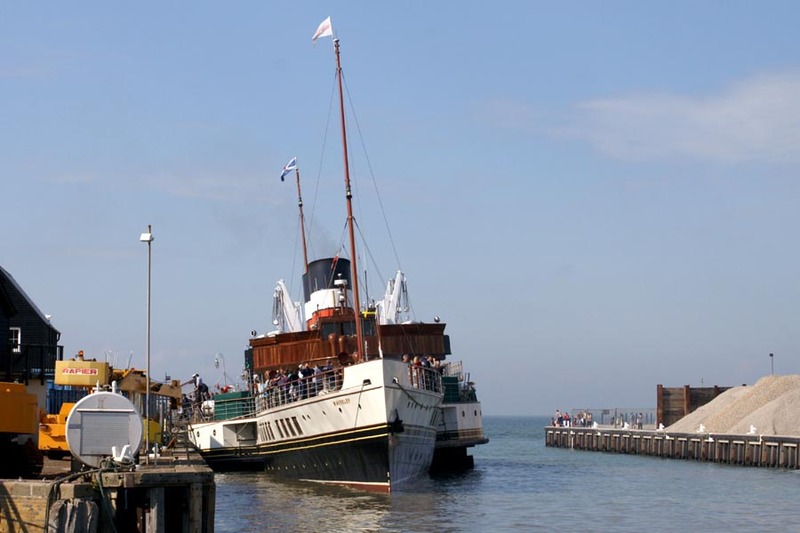 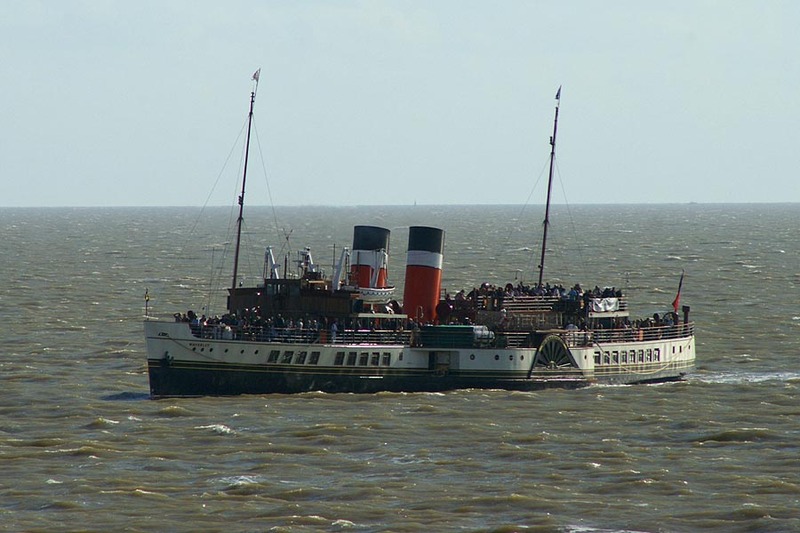 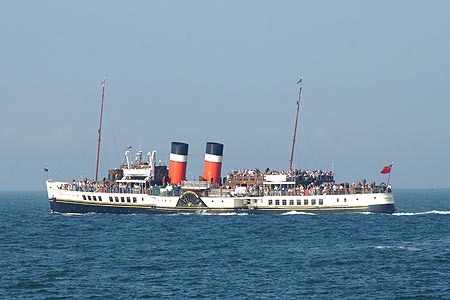 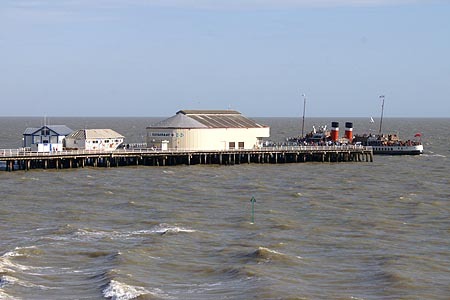 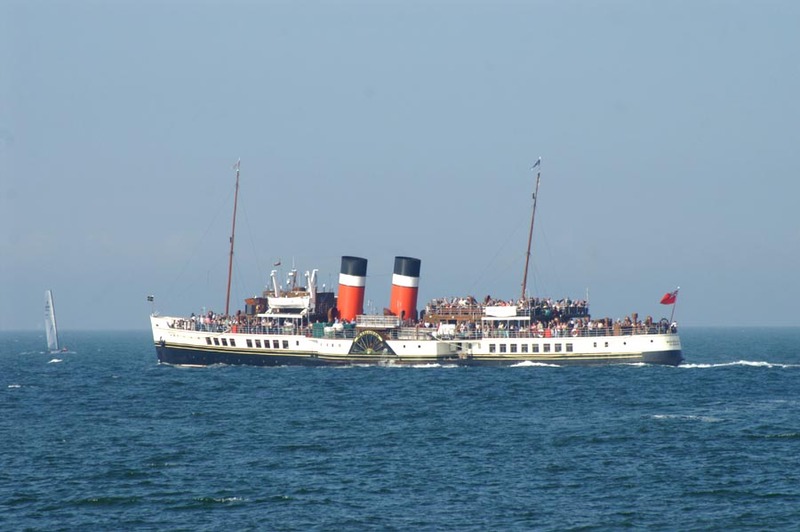 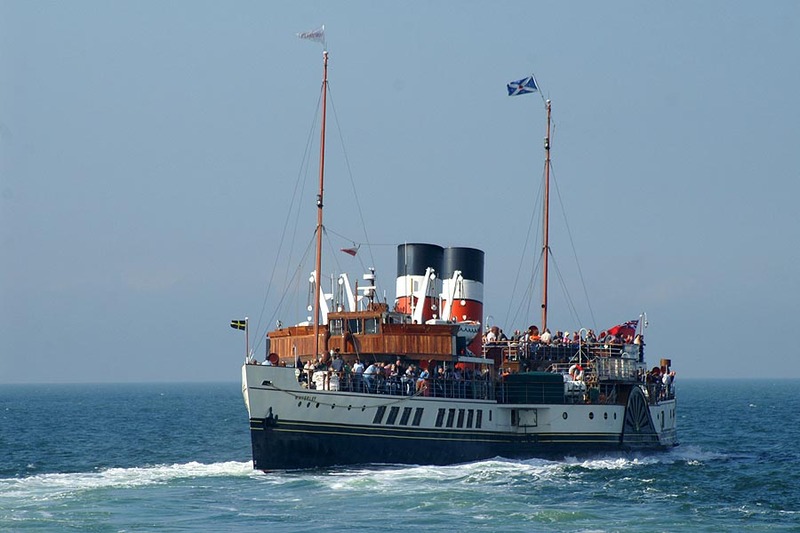 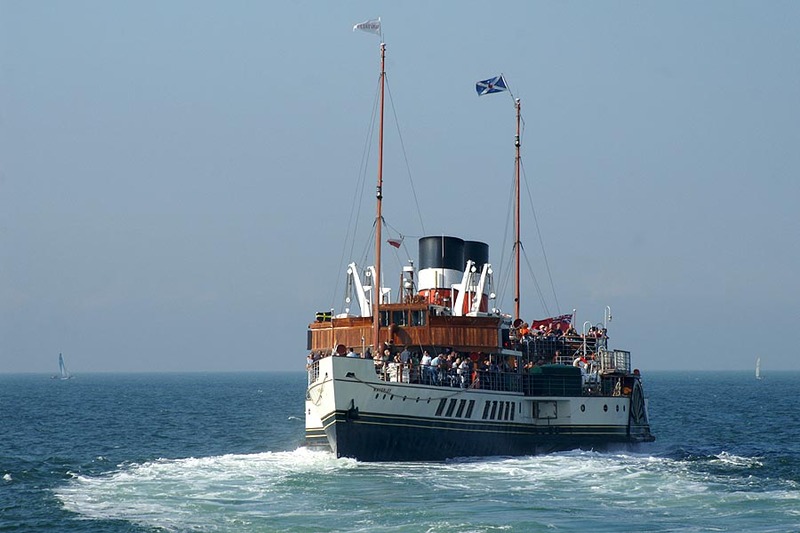 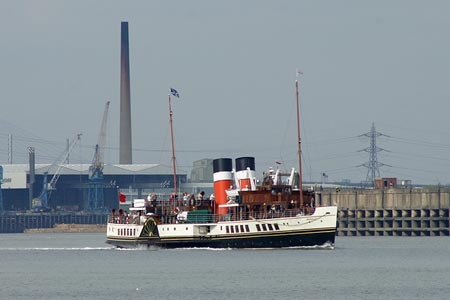 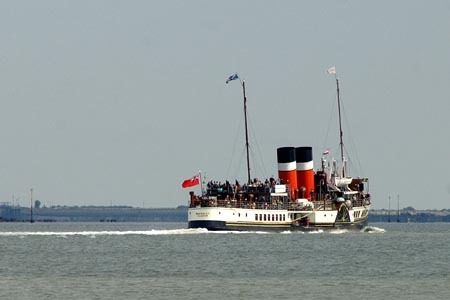 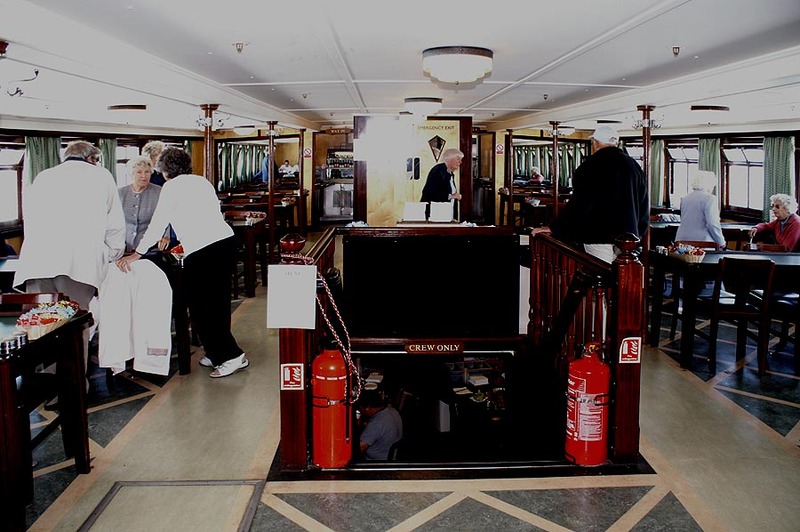 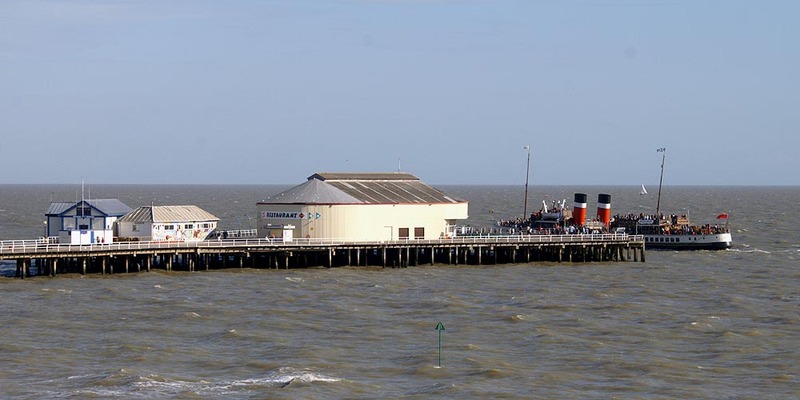 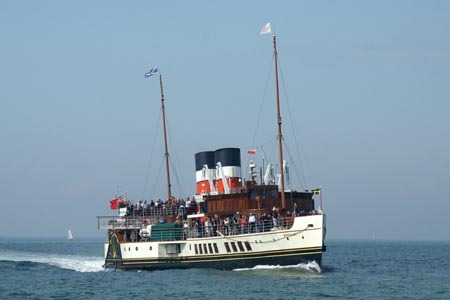 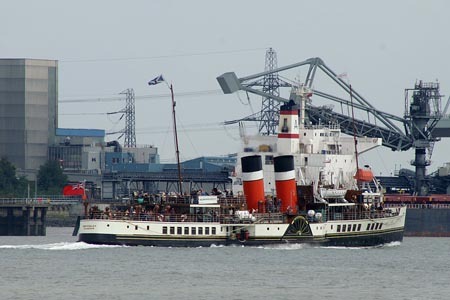 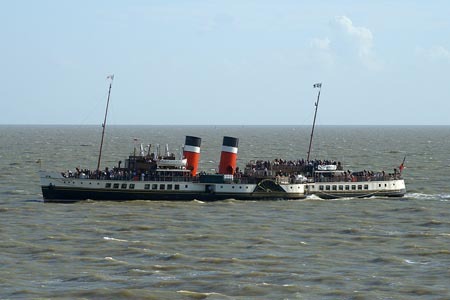 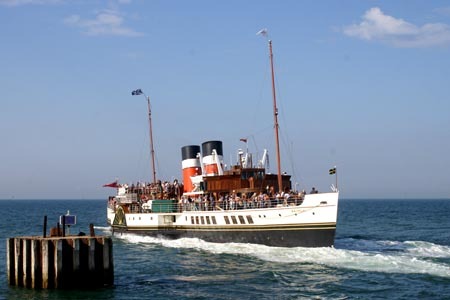 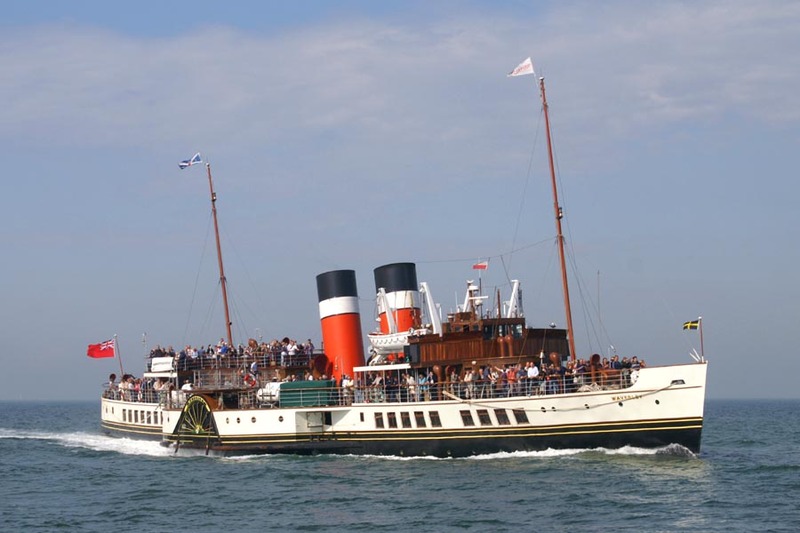 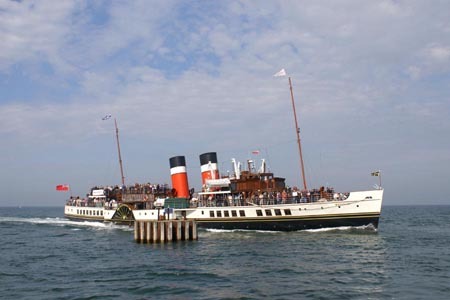 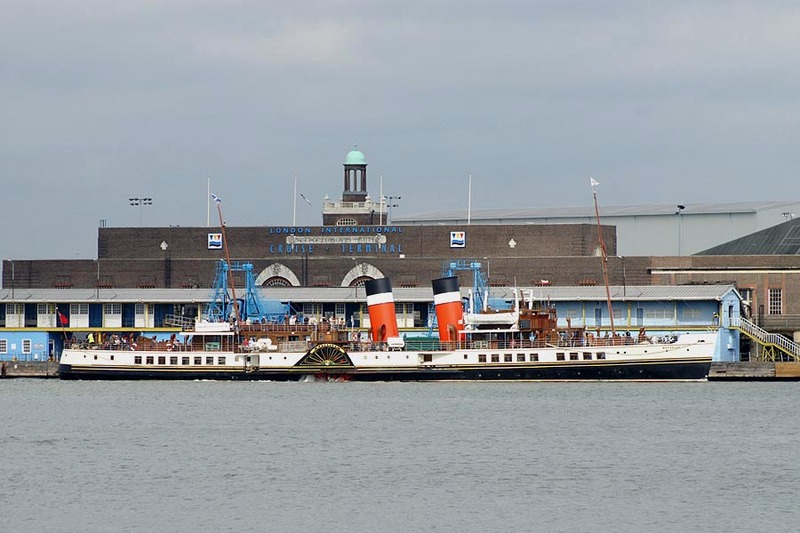 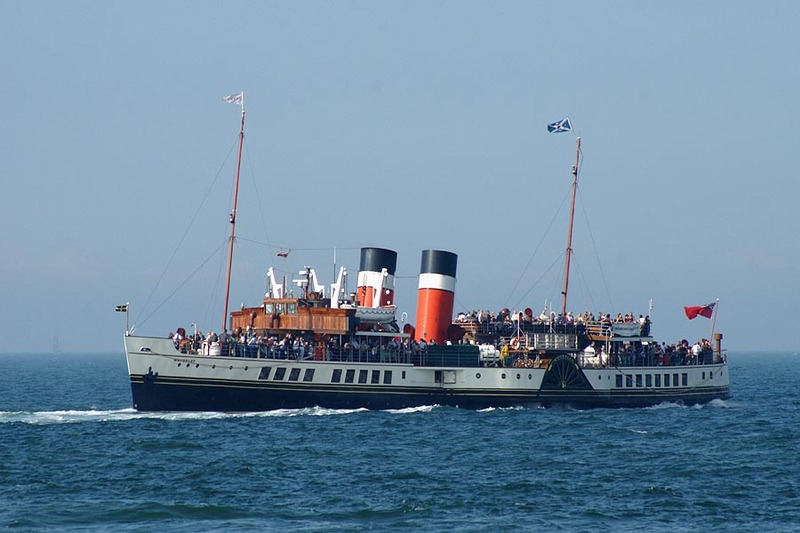 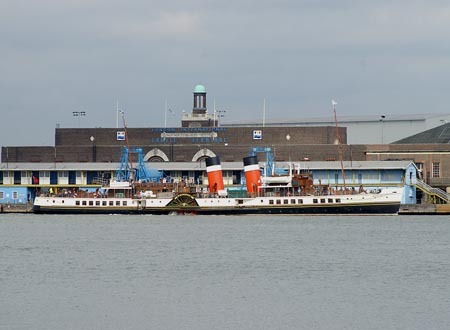 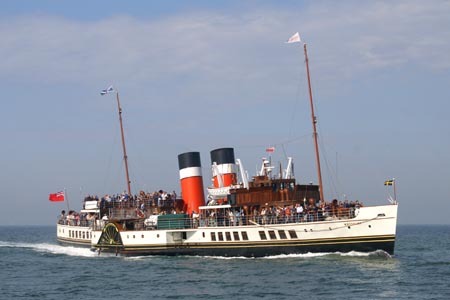 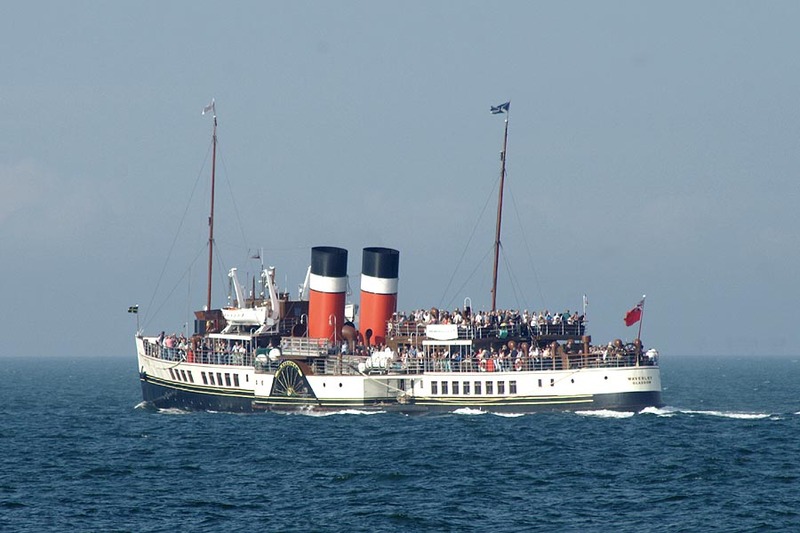 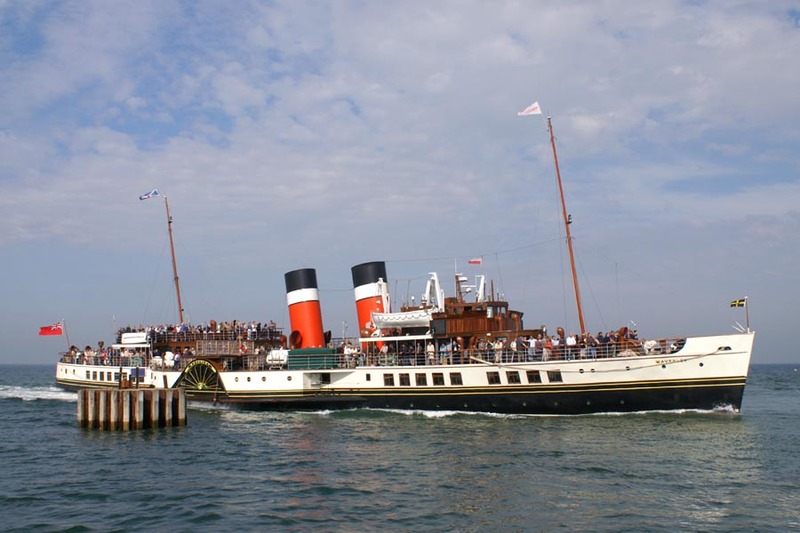 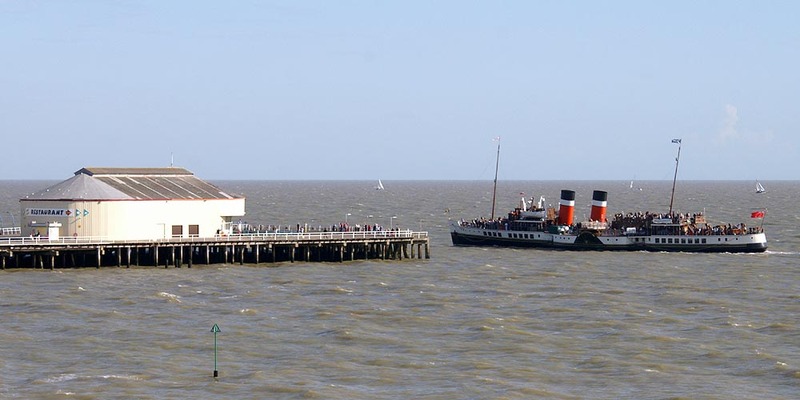 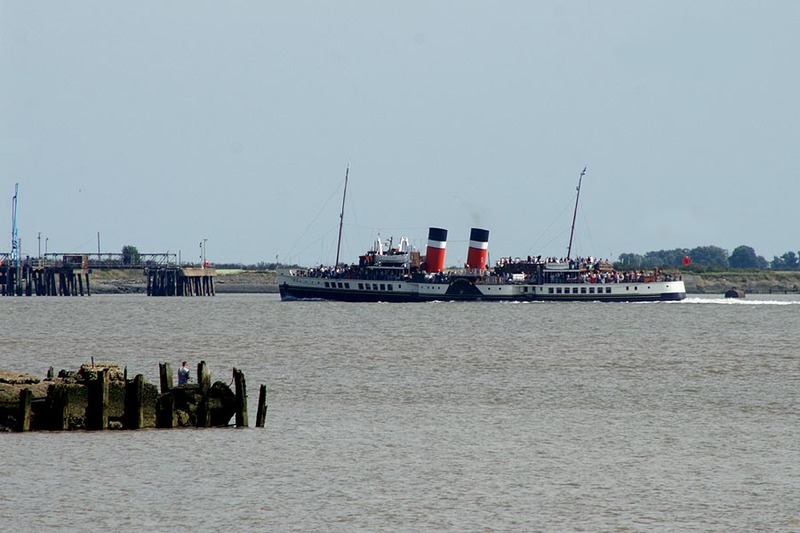 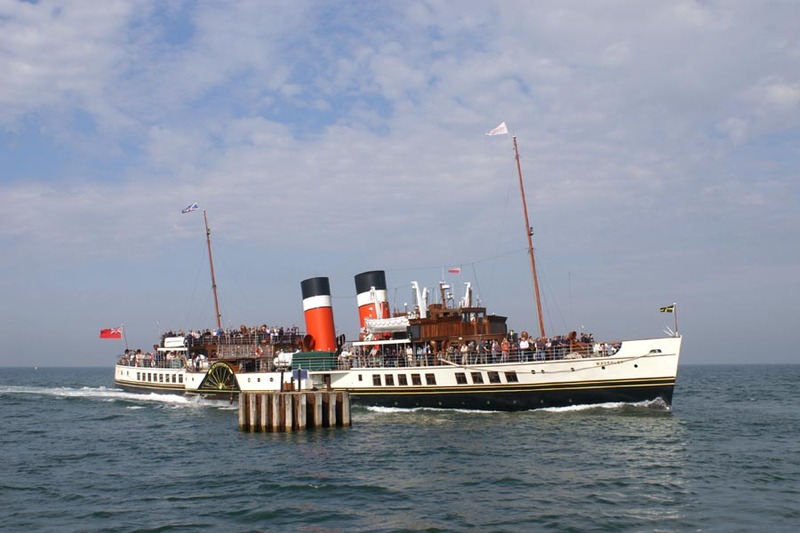 On Saturday 30th September Waverley sailed from Tower Pier to Southend and Clacton and return. 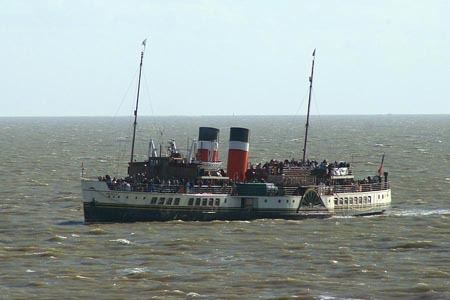 I photographed her arriving at Clacton. 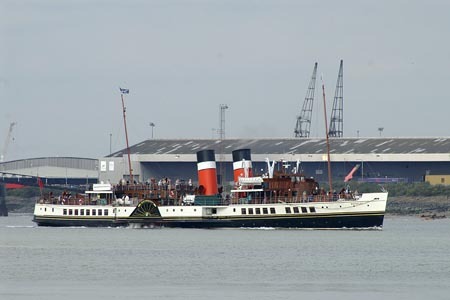 October's Thames sailings are shown on Waverley 2006 Page 2.